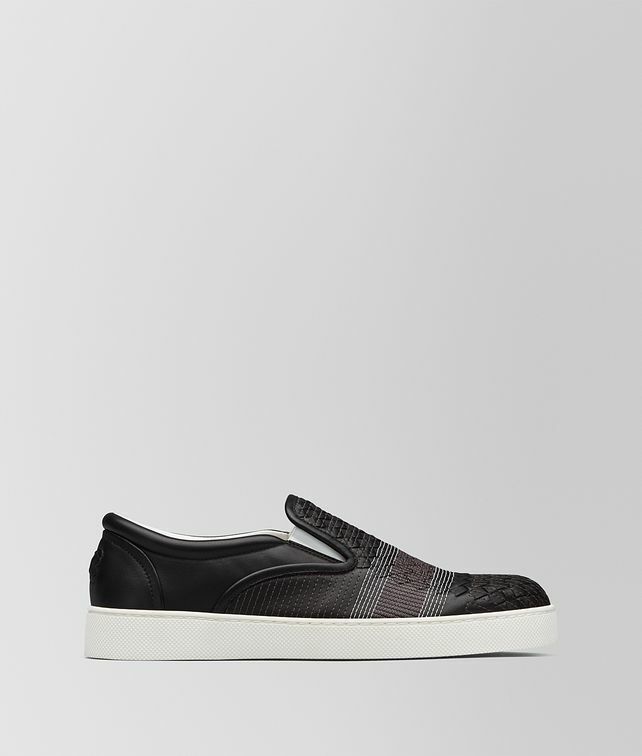 The Dodger slip-on sneaker is crafted from soft nappa leather in the new Backstitch workmanship. It is hand-woven with panels of iconic intrecciato and features traditional backstitch embroidery that creates a graphic, quilted effect in two tones. Finished with a softly padded inner sole and a substantial rubber sole.